Bilbao is a modern cosmopolitan city located within the Basque Country in Northern Spain. The city is a wealthy, highly industrial and commercial hub with one of the highest standards of living in Spain. The old quarter and city centre has undergone a major refurbishment in recent years and is well worth visiting if you find yourself visiting the stunning Basque Country region. 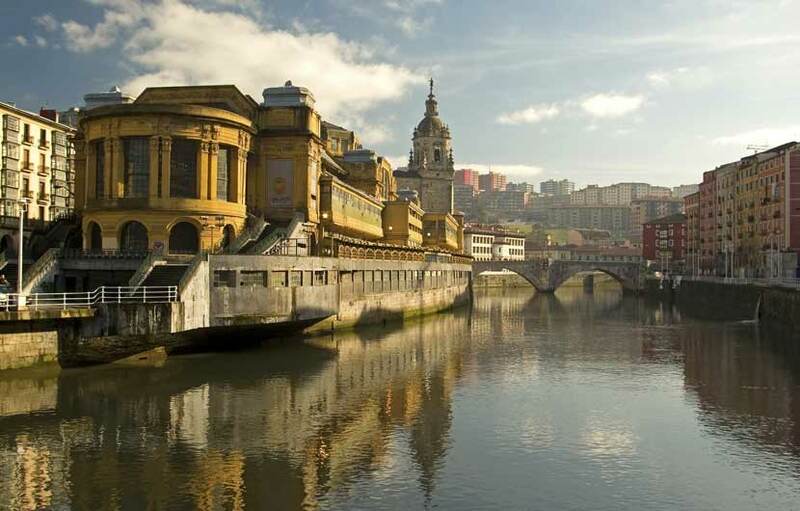 The River Bilbao flows through the city with the Basque coastline just a 15 minute drive away. Bilbao is renowned for its delightful tapas bars and gastronomy with a admirable selection of eateries where typical Basque treats are fused with Spanish traditions to create a quality dining experience. Basque country is famous across Spain for its cuisine, in particular it’s Pintxos ( tapas ) and a bar crawl, known as Txikiteo and involving the frequent eating of pintxos, is a Basque tradition. Gure Toki in the Plaza Nueva is a good place to start, serving traditional and contemporary versions of Pintxos. Bilbao is a city that has invested heavily in its transport infrastructure to accommodate its increasing number of visitors. The Norman Foster designed metro system impresses with its clean, modern stations and regular train services that reach across the city and the Greater Bilbao area. Building on the ‘Guggenheim effect’, many of Bilbao’s modern buildings have been designed by international architectural superstars, including the Zubizuri Bridge and Bilbao airport designed by Santiago Calitrava and Zaha Hadid’s redevelopment of the old port area. You can take in views of the whole city, with its mix of the historic and futuristic, by taking the short trip in a funicular up the Artxanda hill. The old town of Bilbao is full of small boutiques, cafes and bars and is a great place to relax and enjoy at a leisurely pace. For an insider view of the city, contact the Bilbao Greeters, a group of volunteers who enthusiastically share their knowledge and passion for the city, giving personalised tours and introducing visitors to locations beyond the traditional tourist map. 1. Bilbao is home to an impressive fine arts museum housing works from Gaugin to Goya, entrance is FREE every day from 6pm to 8pm. 2. The Mercado de Ribera market, located by the estuary, built in 1929 covering over 10.000 m2 is the largest indoor market in Europe. 3. The two impressive Izosaki twin towers which soar 23 stories and 83 meters above the Bilbao skyline where created by Japanese architect Arata Isozaki. 4. The Basque language ( Euskara) is the oldest European language and has been traced back to a language spoken 20,000 years ago in Europe. 5. Basque cuisine is regarded by many to be one of the best in the world. 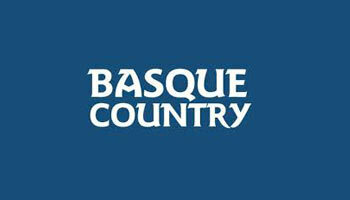 Focusing on fresh, local products, the Basque country boasts the most Michelin stars in the world. Guggenheim Museum - One of the most notable places to visit is the new Guggenheim Museum, the only one of its kind in Spain, displaying an array of contemporary architecture. The Guggenheim Museum is usually the first place that comes to mind when the city is mentioned. Frank Gehry’s celebrated architectural masterpiece has placed this city firmly on the tourist map. Since opening in 1997 has been largely credited with reviving this once shabby industrial town into one of Spain’s hottest city break destinations. 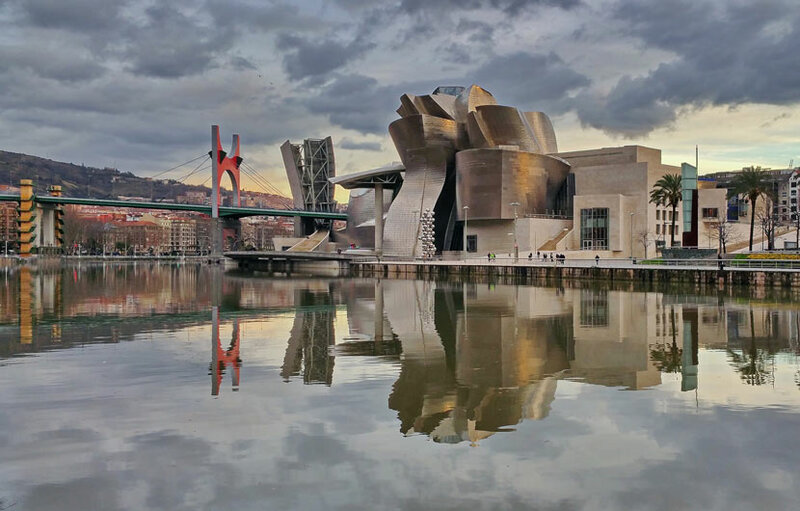 But Bilbao is more than just a one-museum town and aside from the Guggenheim, visitors will find a city full of historical and modern treasures. Bilbao hosts the Semana Grande every year at the end of August, attracting a multitude of visitors from countless nations. The event offers street dancing, pintxo (tapas) tasting, free music acts, bullfighting and nightly firework celebrations.Each year is themed differently from the last, so if you are a fan of Spanish festivals then this will be a hit every time. Biblioteca Municipal de Bidebarrieta ( Bilbao’s Municipal Library ) Located in a historical building with a large collection of books and temporary exhibitions. San Mames stadium - One of Spain`s top football clubs are from Bilbao located in the impressive San Mames stadium which has a capacity of around 40,000 spectators. Palacio de Congresos de Musica - This is and well known music and conference centre hosting regular major concerts with top names in the music business. Mercado Antiguo Lavadero - Bilbao`s Old Market is well worth visit and is located in a historic laundry house. You can access Bilbao from Madrid and Barcelona via the Abando train service, alternatively the drive from either city takes about five to five and a half hours. Flights from many European destinations arrive at Bilbao airport, located twelve kilometers from the city and ferry services from Portsmouth in the UK arrive at Bilbao port. You may wish to rent a car on arrival, a great way to explore the hidden treasures that are located around the city and beyond into the wonderful basque countryside.